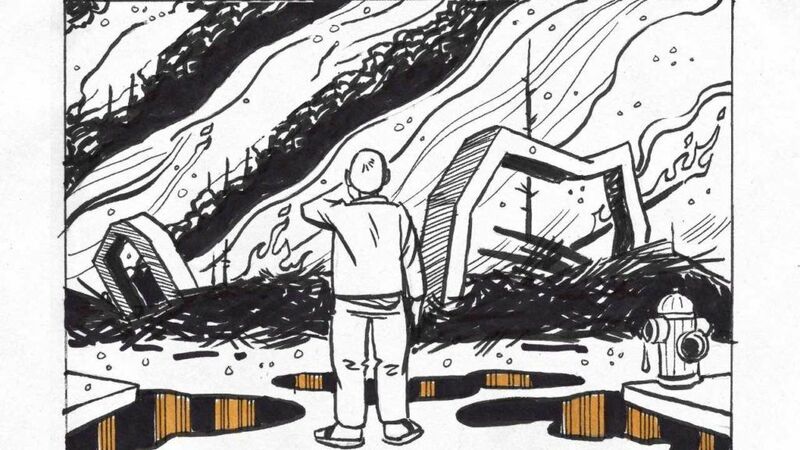 The day after his home burned down, Santa Rosa cartoonist Brian Fies started doodling the wreckage to create his just-released graphic novel A Fire Story. The October 2017 Tubbs Fire was the most destructive fire in California history at the time that it occurred — until the even-worse Camp Fire happened a year and a month later. 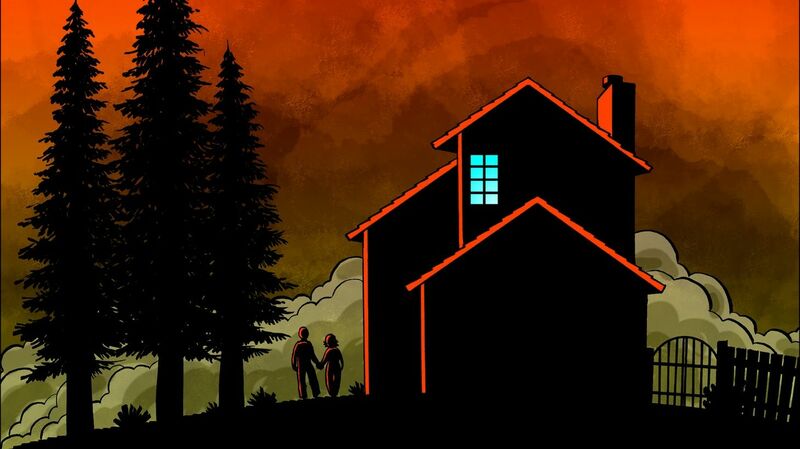 But the loss of 44 lives and more than 6,000 homes was documented in a painfully relatable, first-person account by Santa Rosa artist Brian Fies, initially in a web comic posted while the fires were still burning, then adapted into a widely shared animated video, and has now been adapted into the 160-page graphic novel A Fire Story. Warning: The animated video version below contains some audible and visible profanity, and the seven-minute animation is also certain to make you cry. Take that into account before pressing the Play button. That video garnered more than two million views and won a Northern California Area regional Emmy. The much longer new graphic novel also walks you through the horrifying evacuation, the sights and sounds of traffic jams trying to escape the blaze, and the unique challenges Fies’ wife faced (Karen Fies is the director of the Sonoma County Human Services department) having to coordinate evacuations while being one of the refugees herself. Brian Fies’ A Fire Story is available in hardcover and on Kindle. Additionally, an exhibition of the book’s original artwork is on display at the Cartoon Art Museum through July 15.